Much has been written both for and against the use of small furry animals as subjects for medical experimentation in the popular press and other non-academic media sources. However the substantial contribution of pigs to medical research has never received the same exposure or raised the same passionate debate. The general public commonly view pigs as food items and usually as a source for their bacon sandwiches. In medical research, pigs have become an essential biological “raw material” and are making a significant contribution to science and human health without the appreciation from the public that they truly deserve. Pigs have the tantalising possibility to provide the answer to solving our human organ shortage for transplants. First and foremost why are pigs so valued? The unproblematic availability of pig organs and tissue and the common acceptance that it is primarily a food item is a key factor in its widespread adoption in scientific research. It is difficult to envisage that it would be as readily accepted by the general public if chimpanzees were used for organ donation or the training of surgeons in the treatment of gunshot wounds. Fortunately, the pig shares a wide range of important physiological similarities with humans, including factors such as size and their genetic framework. Many of the pig’s organ systems are 80 to 90 percent similar to the corresponding systems in those of humans, both in anatomy and function. The biological system in pigs that is perhaps most closely aligned with human physiology is the cardiovascular system. This is not just because a pig’s heart is roughly the same size and shape as a human heart but interestingly they also develop similar cardiovascular diseases such as; atherosclerosis and artery plaque build-up in the same way that humans do. Case Study – Can pigs solve our heart valve replacement problem? Valvular heart disease (VHD) is a condition with existing global prevalence. Functional defects in human heart valves often require patients to undergo valve replacement surgery. Current replacement valves options include mechanical, bioprosthetic, cryopreserved homografts or autografts, all of which have significant advantages and disadvantages. For a paediatric population the disadvantages of these replacements become even more severe. The “gold standard” homograft donor valves lack availability, with simply not enough accessible children donors. This shortage of donors coupled with the inability of bioprosthetic & mechanical valves to remodel and grow with the child, therefore requiring repeated surgical interventions, highlights the pressing necessity for an alternative replacement option with the ability to acquire the remodelling structure of a homograft valve, whilst having wide-scale availability. A promising alternative which has the potential to address many of the disadvantages of current options, especially for use within a younger paediatric population, is an acellular heart valve. This is where the pig makes a remarkable contribution, as acellular heart valves may be derived from a pig’s own heart valve. Implanting pig tissue directly into a human without extreme immunosuppression would result in a strong negative immunological response ultimately leading to tissue rejection. Therefore an ingenious process termed ‘decellularisation’ is applied to the donated pig heart valve. Decellularisation can be seen as a cleansing process which removes all the porcine cells and residual pig DNA from the pig valve resulting in an acellular valve which, due to containing no pig cells, does not trigger an immune response but marvellously retains the tissue’s complex natural matrix. Studies have shown that when this accellular valve matrix is transplanted it has the astonishing potential to be populated by the patient’s own cells allowing the valve to remodel and grow in a manner comparable to that of a native human valve. 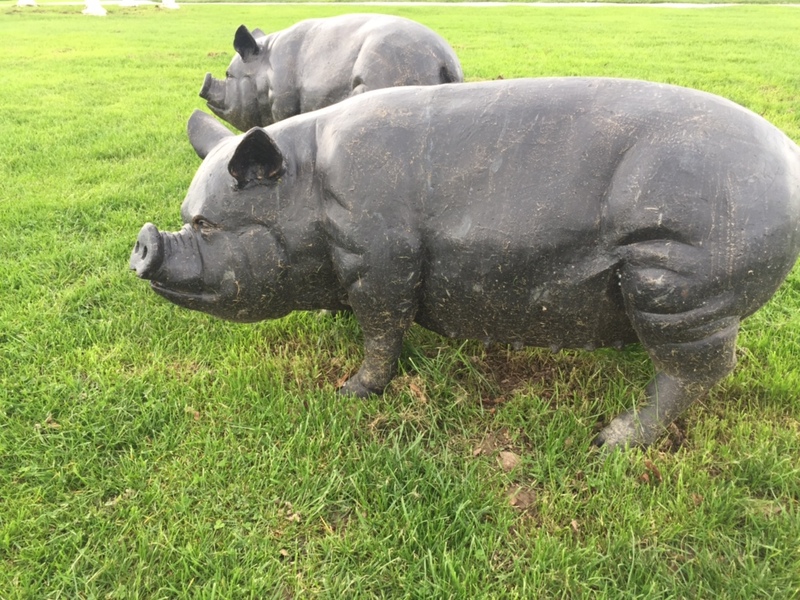 With human trials on-going and future research looking for a translational movement into UK trials, how long might it be until we see pigs being recognised as the medical wonder they are.